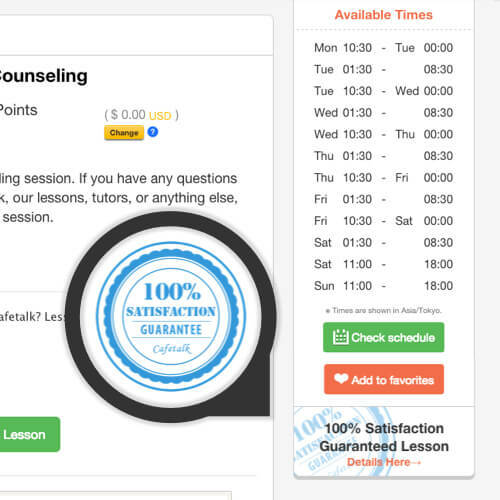 The program allows you to have your points refunded if you are dissatisfied with any lesson that's covered. We hope this makes it easier for you to try out our lessons! 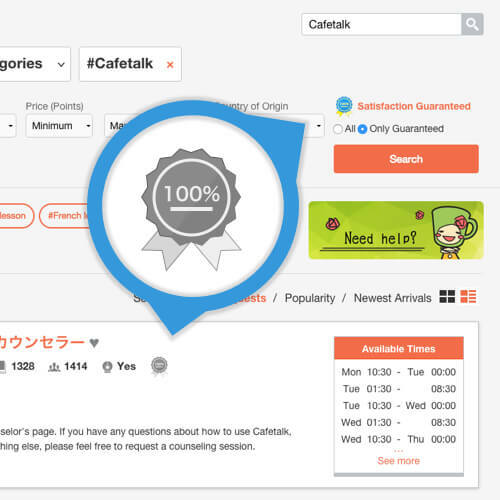 *You can not file for a refund if you have taken other lessons with the same tutor. Bulk lessons are not covered. 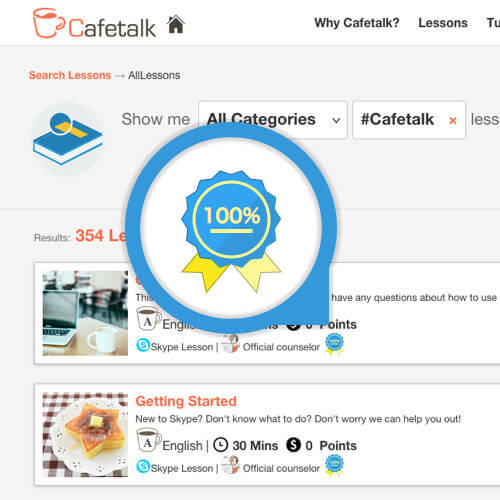 Except for the Skype call and related chat messages during the lesson, all correspondence and transactions related to the lesson must be conducted through the Cafetalk system for the lesson to be eligible for coverage. Please note that points are only refunded if the application for the refund is handed in within 5 days (120 hours) of the day the lesson took place. Please understand that we can not refund lessons after this time period. In case you file a claim for a refund we may cross-check the details with the tutor in question. You can file a claim through the Inquiries Form, after which we will refund your points within one or two business days. Based on our descretion, we may ask for further details depending on the content of your claim. For your second (or greater) claim under the 100% Satisfaction Guarantee Program we would like to discuss the details as to why you were dissatisfied through a Free Counseling Session You will be eligible to be insured under the program only after counseling.